Sacramento is the capital of California and the center of the fourth largest metropolitan area in the state. It is home to the most diverse population in the country, which includes many thousands of senior citizens. The Sacramento nursing home abuse attorneys of Nursing Home Law Center LLC fight tirelessly to ensure our elderly population maintain the right to receive the respect and quality treatment they deserve when being cared for at nursing facilities throughout the city. We’ve compiled the following information about the worst rated care centers in Sacramento with the hope that it will raise awareness to common nursing home concerns and help you avoid placing your loved ones in a poor environment. Medicare releases data monthly on all nursing facilities in Sacramento from information gathered through investigations, surveys and inspections. Currently, the database maintained by the federal agency reveals that two (4%) of the forty-six Sacramento nursing homes were found to have serious deficiencies and violations that led to providing the resident substandard care. Did your loved one suffer harm through mistreatment, neglect or abuse while living in a nursing facility in Sacramento? If so, our legal team can protect your family’s rights beginning now. We encourage you to contact the Sacramento nursing home abuse attorneys at Nursing Home Law Center (800-926-7565) today. Schedule a free case review and let us explain your legal options on how we can help file and resolve a lawsuit for compensation on your behalf. The city of Sacramento was a key distribution point and agricultural center during the California Gold Rush and later became an integral part of the Pony Express and the First Transcontinental Railroad. It is now home to a population of over 485,000. Its senior population represents over 10.6% of its total and is due to grow as many more of its residents near retirement. The Ethel Macleod Hart Senior Center is the center of the city’s Older Adult Services Division and offers numerous services for the benefit of residents over the age of 50 years. The center allows seniors the opportunity to socialize, learn new hobbies and remain active into their golden years. Participants can enroll in art, dance or music classes, attend social gatherings, sign up for health and fitness courses, play cards and take up hobbies or enroll in technology classes. Seniors also benefit from special events and workshops that include community forums and presentations on topics of interest such as developing an advanced healthcare directive or defending against identity theft. For more information, you can visit the center, located at 915 27th Street or call (916) 808-5462. Our Sacramento nursing home injury lawyers have gathered all of the information you will find below from Medicare’s nursing home compare tool found on the medicare.gov website in order to bring attention to the lowest scoring facilities in the city and raise awareness about concerns that are common to the area. It is our hope that the information we’ve provided will help you make more informed decisions regarding where you place your loved ones for assistive care and help you avoid placing the people who you care about in a harmful environment. For more specific information about any of these facilities or to see how a facility rates that is not on this list, you can access the nursing home compare tool at https://www.medicare.gov/nursinghomecompare. Primary concerns: This facility did not receive a positive grade in any of the areas assessed. It suffers from severe understaffing, has a horrible health inspection record and has received the lowest score possible for its quality measures. Primary concerns: While this facility has positive reviews regarding its staff levels and quality measures, its health inspection record is abysmal, resulting in its low overall rating. Primary concerns: Severe understaffing and an extremely poor health inspection record are the primary concerns for this facility. Primary concerns: This facility has received poor or mediocre ratings in all areas of assessment. Its poor quality measures and health record may be tied to its barebones staff levels. Primary concerns: A poor health inspection record and subpar quality measures are the primary detractors for this facility, which has an above average rated staff. Our loved ones don’t always communicate the fact they are being neglected or abused, either due to fear or embarrassment. It is for this reason that our Sacramento nursing home injury lawyers suggest seeking the advice of a legal representative whenever you notice anything that doesn’t seem right. At worst, you’ll rule out a case of abuse and at best, you will uncover the evidence needed to hold an abusive or negligent nursing home accountable so that it is forced to render the quality service to its patients that they deserve in the future. If you notice any of the following, your loved one may not be receiving the treatment he or she has the right to. 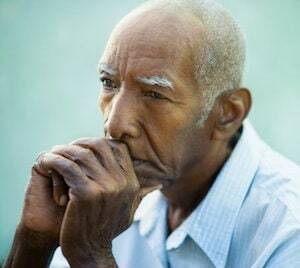 Your loved one accuses caregivers of mistreatment. Sometimes staff members will try to write these accusations off, claiming your loved one is confused or suffering from dementia. Investigate the situation anyway. Nursing Home Law Center LLC is an award winning law firm that defends the rights of those who have been injured due to negligence, abuse and neglect. We’ve helped thousands of clients across the country find the justice that they deserve by holding the people responsible for their injuries accountable and helping to send a message to nursing facilities that failing to provide the quality care our loved one have the right to will not be tolerated. To learn more about how we can assist you, contact us to schedule a free consultation and case review. Our Sacramento nursing home abuse attorneys will review your legal options with you and conduct a thorough investigation to determine whether your loved one is being mistreated. Since we work on a contingency basis, we can also assure you that unless we are able to secure compensation on behalf of your loved one, our services will come at no cost to you.